Mark Steinmetz has spent his career, beginning in the mid-1980s, relying on chance events to capture his photographs. Working in series, his intimate black and white photographs cover such subjects as children and teenagers, small southeastern American towns, street scenes in Paris, and various Italian cities. In alignment with this chance-driven approach, Steinmetz is committed to presenting the viewer with images that are open to multiple interpretations, as opposed to creating specific narratives or singular emotional effects. In series such as South Central (1991-1993), for which Steinmetz photographed in and around Knoxville, Tennessee, we see solitary, mostly youthful, figures in a suburban environment, often lost in contemplation. A similar atmosphere is conjured in the later, related, series, Greater Atlanta (1994-2009), in which Steinmetz catalogues car culture, fast food, convenience stores, and suburban sprawl. These understated yet richly atmospheric images invite a slow form of looking, through which numerous readings may arise. Born in 1961, Mark Steinmetz resides in Athens, Georgia. He was recently awarded a commission from the High Museum of Art, Atlanta as part of their Picturing the South series, which will be exhibited at the museum in 2017. Steinmetz graduated from Yale’s MFA photography program in 1986, and he spent a year photographing alongside Garry Winogrand in Los Angeles during the late 1980s. He has taught at numerous prestigious colleges including: Harvard University, Yale University, Sarah Lawrence College, and Emory University. His work has been exhibited in many major institutions, including Museum of Modern Art, New York; Whitney Museum of American Art; Museum of Contemporary Art, Georgia; Art Institute of Chicago; Museum of Fine Arts, Houston; and Los Angeles County Museum of Art. Public collections featuring his work include Metropolitan Museum of Art, New York; Whitney Museum of American Art, New York; Museum of Modern Art, New York; Art Institute of Chicago; San Francisco Museum of Modern Art; Yale University Art Gallery; and the Los Angeles County Museum of Art. Nazraeli Press has published nine monographs of his work, including South Central (2006); South East (2008), Greater Atlanta (2009), The Players (2015); and Angel City West (2016). 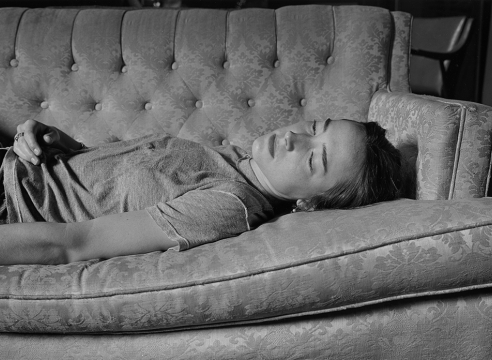 Among other awards, Mark Steinmetz was the recipient of a John Simon Guggenheim Memorial Foundation Fellowship.